Not every bottle of wine needs a long writeup to describe it. 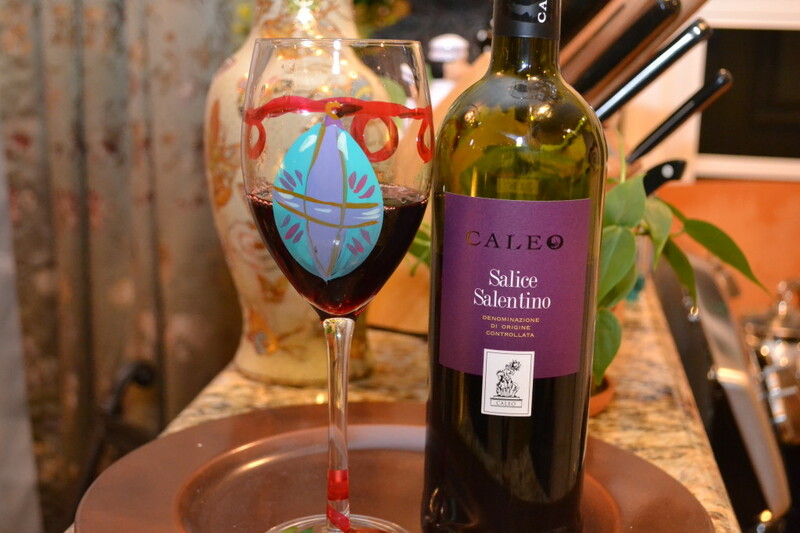 Some bottles of wine need only a few words, and my sip of Caleo Salice Salentino 2012 is one of them. Mind you, there was nothing wrong with the wine. 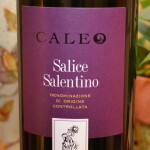 On the contrary, the Caleo Salice Salentino a fine bottle of red Italian wine for $9. What Grape is Caleo Salice Salentino Made From? Not a bad question, I’m glad you asked it. Salice Salentino is a wine producing region in Puglia. A warm region in southern Italy, Puglia, also called Apulia, is the heel of Italy’s boot. While there are a number of grapes made into wine in Puglia, Negroamaro is the primary grape in wines from Salice Salentino. Negroamaro can be blended with up to 20% Malvasia Nera di Brindisi or Malvasia Nera di Lecce to make the red wines of Salice Salentino. I tried to find information on the Caleo winemaker and vineyards. Unfortunately, little other than reviews or companies selling the wine was available. At $9, I don’t expect much out of this red Italian wine. Rather, I expect it to be simple, quaffable, and work well with pizza, pasta, or grilled meats. The aroma is black cherry, cola and a little earthiness. The wine is not overly tannic, and negroamaro in general is a soft, fruit driven wine. On the palate, there is cherry meeting an earthy, leather core. The wine is quite dry, with fine but noticeable tannin. With my meat lover pizza, a pine needle or menthol component shows up on the wine, with the earthiness more front and center on the palate, and the fruit taking a back seat. This wine will not appeal to those who prefer a fruity, new world Cabernet Sauvignon. This is no fruit bomb. It’s a simple, straight forward, old world Italian red wine. Are you an Italian wine lover? Which wine from Italy is your favorite? Let me know by leaving a comment below!